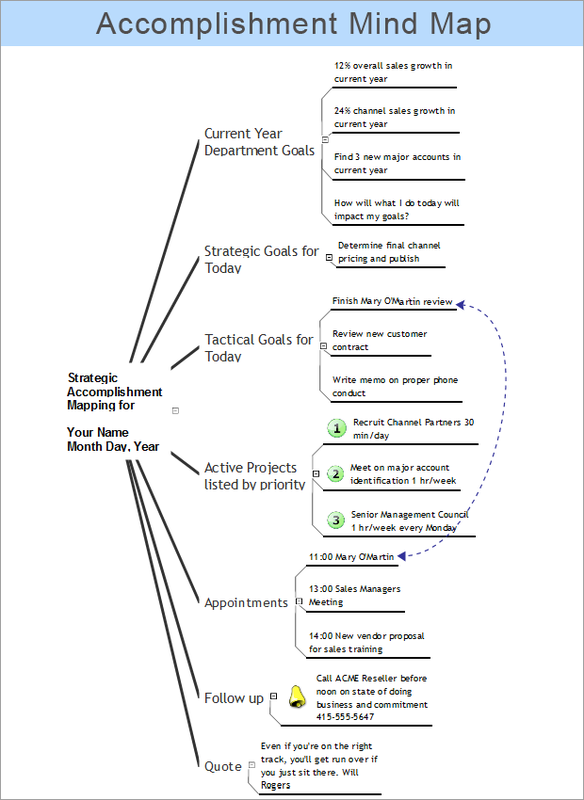 Samples of Strategy and Management Diagrams (Matrices, Deployment Charts, Organizational Charts, Cause & Effect (Fishbone) Diagrams, Timelines) and Mind Maps (decision making, scheduling, thinking ideas, problem solving, business planning, company organizing, SWOT analysis, preparing and holding meetings and presentations) are created using ConceptDraw MINDMAP v10 mind mapping software and ConceptDraw DIAGRAM v12 diagramming and vector drawing software enhanced with Management solution from ConceptDraw Solution Park. ConceptDraw DIAGRAM v12 provides export of vector graphic multipage documents into multiple file formats: vector graphics (SVG, EMF, EPS), bitmap graphics (PNG, JPEG, GIF, BMP, TIFF), web documents (HTML, PDF), PowerPoint presentations (PPT), Adobe Flash (SWF). 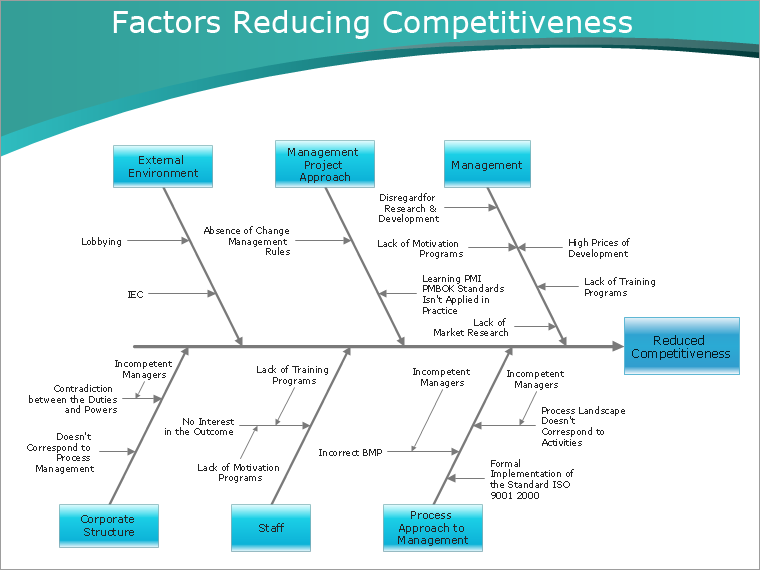 Fishbone (cause and effect, Ishikawa) diagram sample: Factors reducing competitiveness. 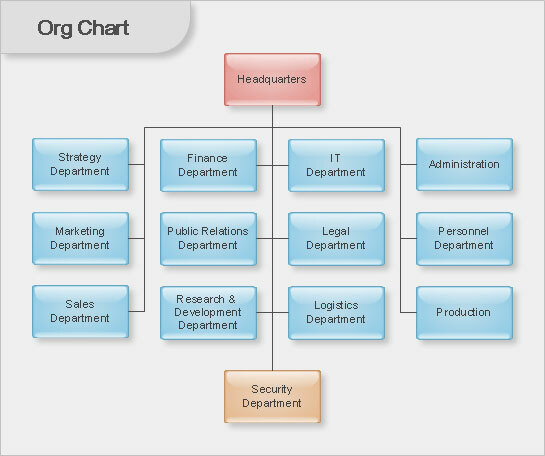 Management solution from ConceptDraw Solution Park. 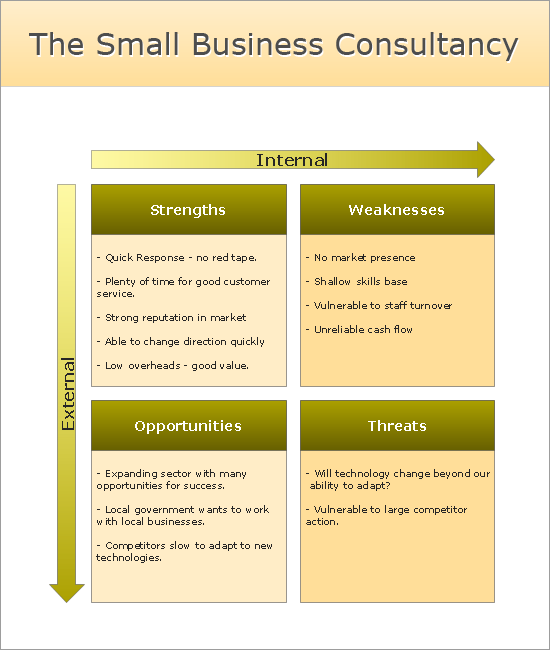 SWOT analysis matrix sample: The small business consultancy. This example is created using ConceptDraw DIAGRAM diagramming and vector drawing software enhanced with Management solution from ConceptDraw Solution Park. 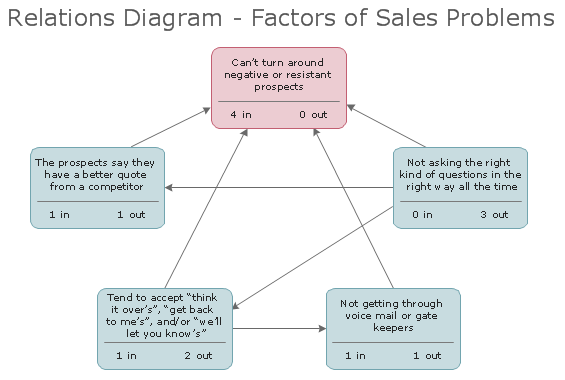 Relations diagram (interrelationship digraph) sample: Factors of sales problems. This example is created using ConceptDraw MINDMAP mind mapping software integrated with ConceptDraw DIAGRAM diagramming and vector drawing software enhanced with Seven Management and Planning Tools solution from ConceptDraw Solution Park. Root Cause Analysis Tree Diagram sample: Sales problems. 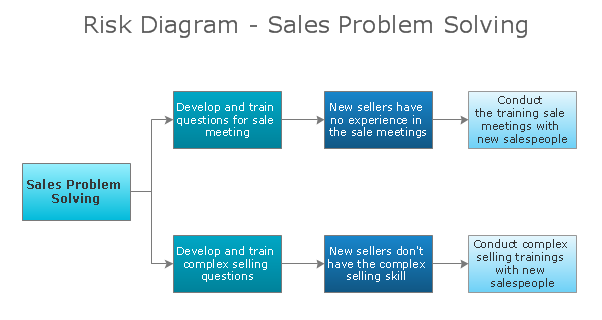 Risk diagram (process decision program chart, PDCP) sample: Sales problem solving. 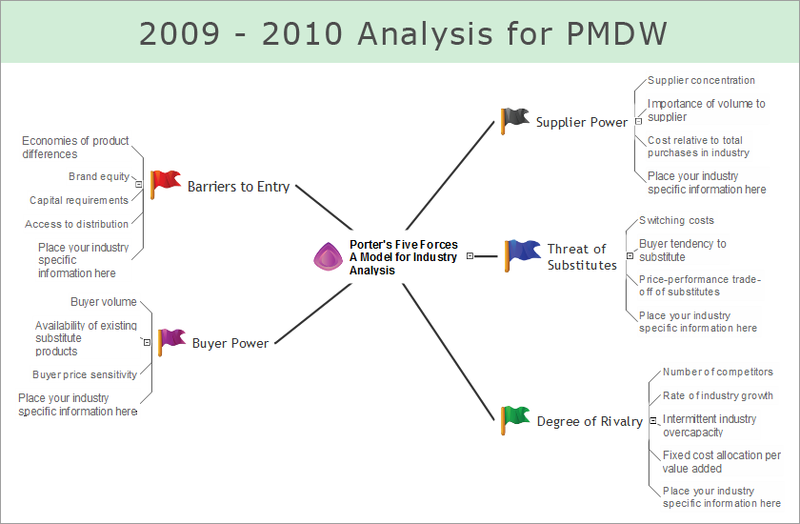 Porter's five forces mind map sample: A model for industry analysis. 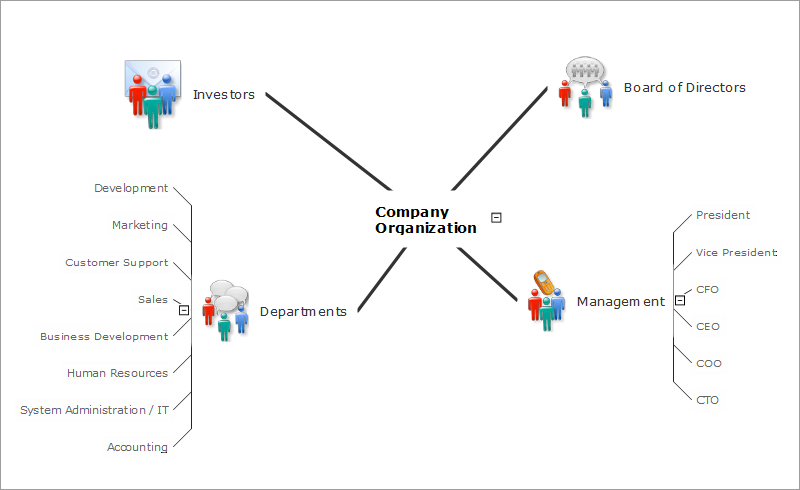 This example is created using ConceptDraw MINDMAP mind mapping software enhanced with Management solution from ConceptDraw Solution Park. 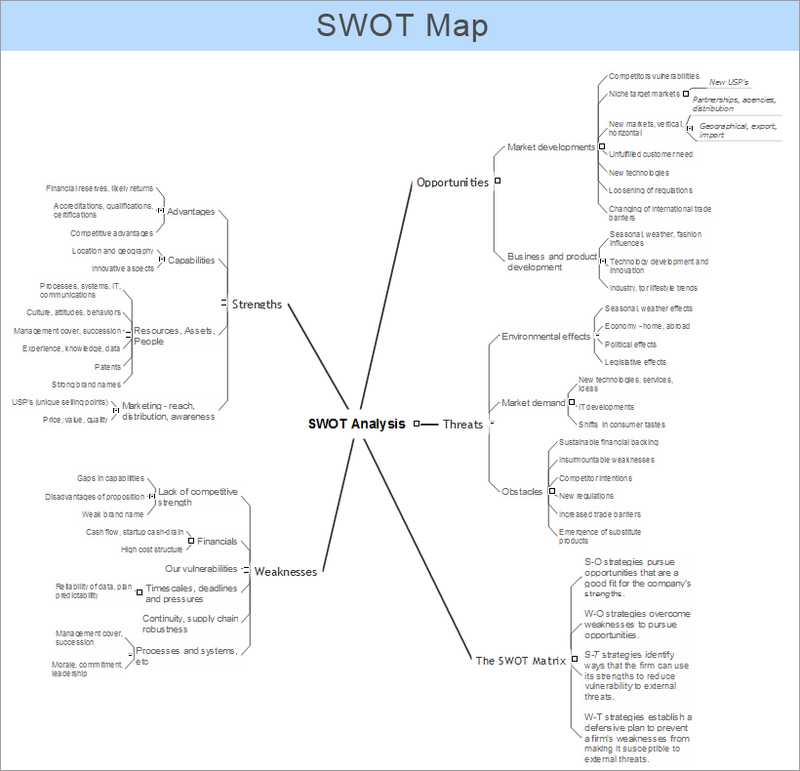 SWOT analysis mind map sample. 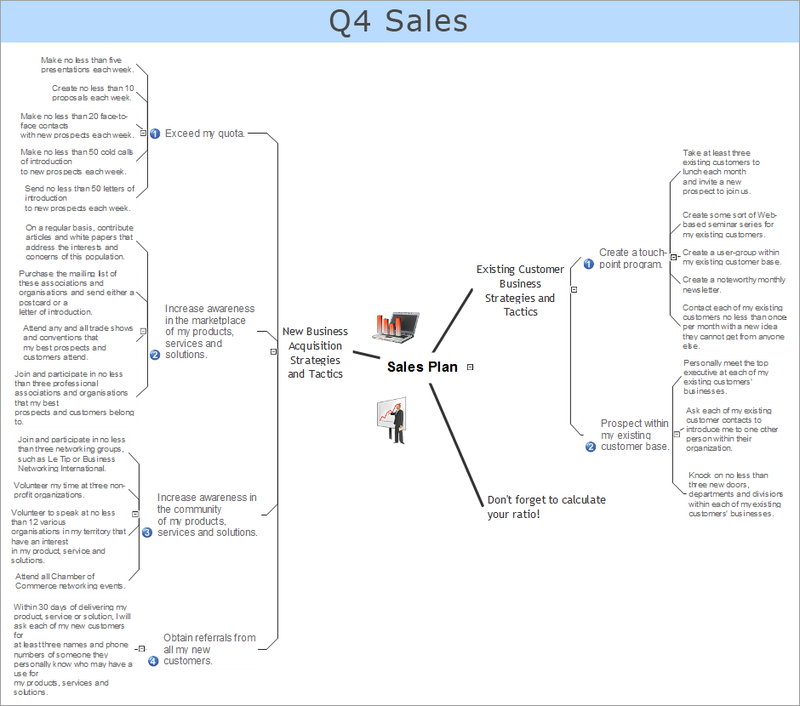 Mind map sample: Sales plan. 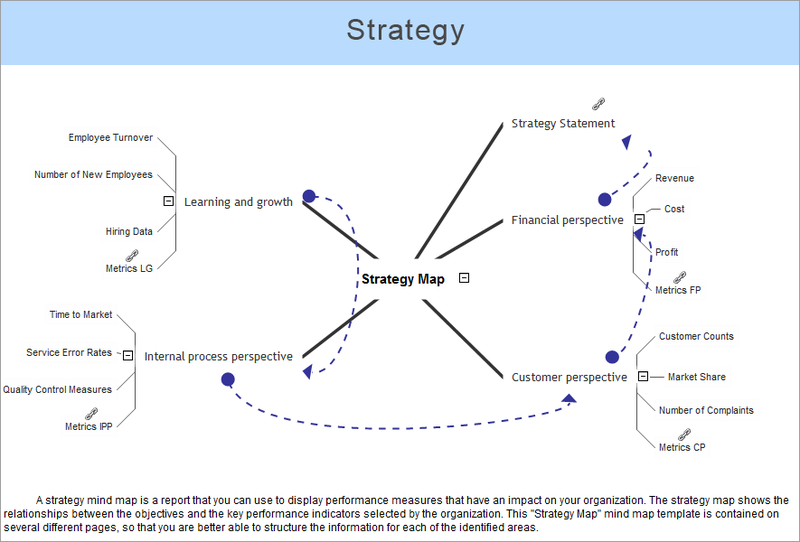 Mindmap sample: Strategic accomplishment mind map. Bubble diagram sample: Employee needs. Basic Diagramming solution from ConceptDraw Solution Park. 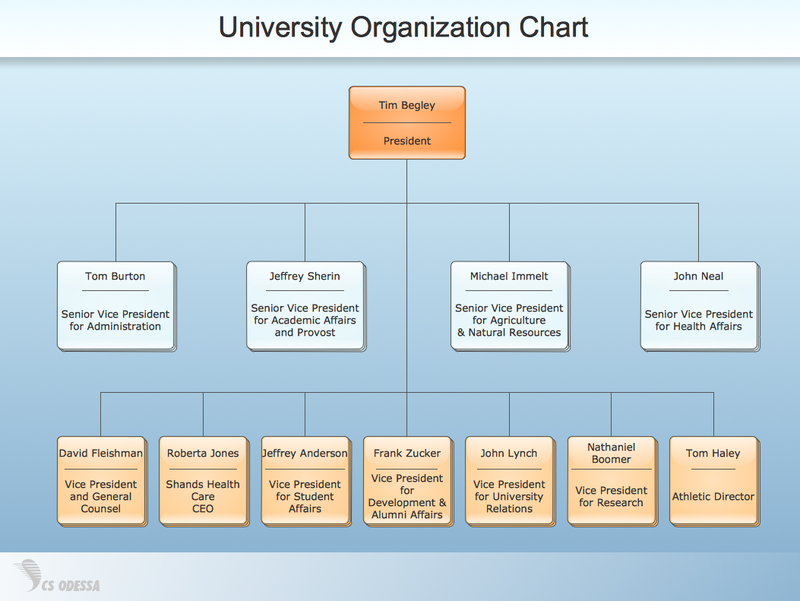 Bubble diagram example: Employer objectives. Bubble diagram example: Employment policy direction. 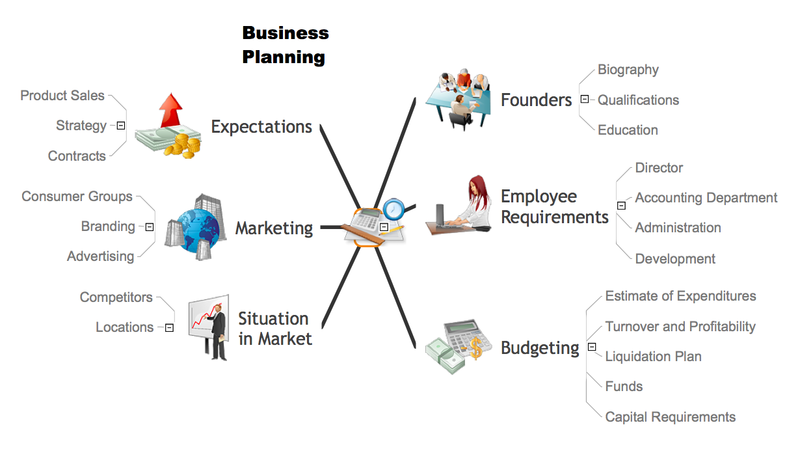 Bubble diagram template: Business strategy.